MPOW recently finished a much-needed construction project to add more parking. This has been great in terms of accommodating the constant flow of traffic that comes in and out of the library, as well as adding a pickup/dropoff point where there previously wasn’t one. This is all great news. People (for now) are having no trouble finding parking, and we’ve gotten a lot of great feedback from our patrons. Let the public shaming begin. Come on, ComEd. 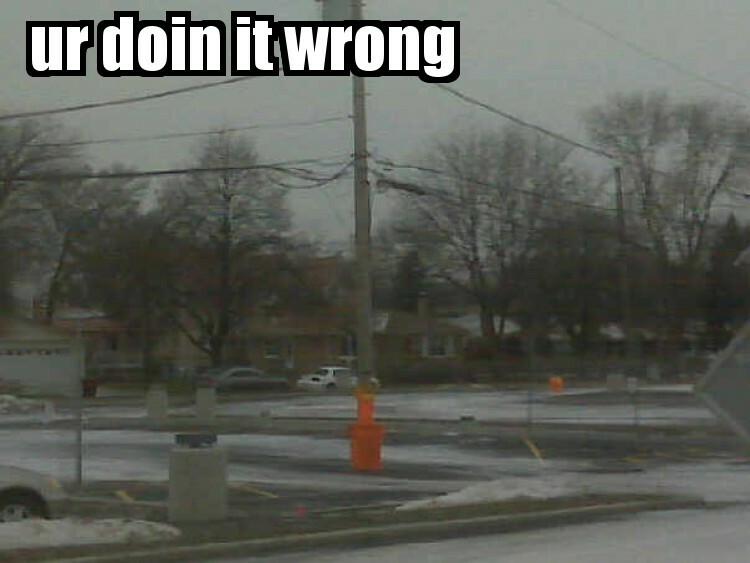 Big orange barrel or no, it’s only a matter of time before someone hits that pole. This entry was posted Tuesday, December 16th, 2008 at 11:03 am	and is filed under mpow. You can leave a response, or trackback from your own site.